In an interview Prof. Rafik Khalil, provides us with great insights on the unceasing impact of Ancient Egyptian Culture on world civilization. Read more "Impact of Ancient Egyptian Culture on world civilization (video)"
Are we worshiping the same God? And is he a pagan God in disguise? Read more "Lamb of a Bloodthirsty God (Video)"
Read more "Mr. Trump, Jerusalem is not the capital of biblical Israel"
Read more "In what language did God write the Ten Commandments? (The video)"
Read more "In what language did God write the Ten Commandments?" Watch the video and discover the true story of slavery in Ancient Egypt that absolutely debunks the biblical narrative about that ancient land. Read more "Exodus Debunked: Slave trade was not common in Ancient Egypt (Video)"
Is Holy Family’s flight into Egypt Myth? Read more "Is Holy Family’s flight into Egypt Myth?" The (crazy) idea of bringing world’s Jews to leave their homelands, settle in the occupied (Palestinian) land and ‘inventing a Jewish People’ out of them is the real ‘theatre of the absurd’. Read more "UNESCO Resolution on Jerusalem: The Hidden Truth"
Read more "Yazidism: Meet the Devil you will love"
Read more "Why are the Pyramids not mentioned in the Bible?" Read more "Was Muhammad Ali’s conversion to Islam uneducated decision?" The Author revisits Ancient Yemen, the homeland of the Israelites. In the essay, Ashraf Ezzat digs deep into the cultural roots of (religious) extremism and intolerance in both Judaism and Islam. Read more "The Jewish roots of ‘Takfiri’ culture"
‘The pyramids: Egyptian Genesis’ is my first video art film. 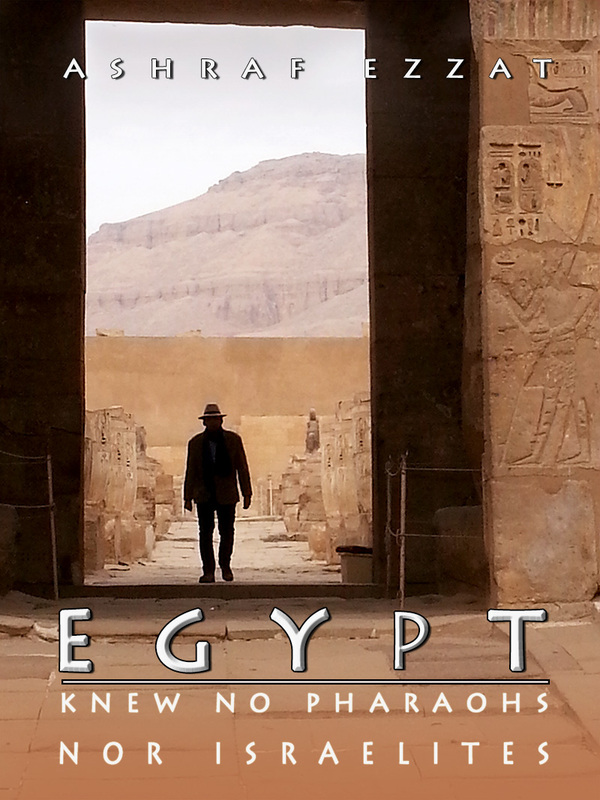 I had in this short film the opportunity to capture glimpses, albeit experimental, of two of my most obsessive passions, cinema and ancient Egypt. Read more "The Pyramids: Egyptian Genesis (Film)"
Read more "Abraham’s Pharaoh was not King of Egypt"